Please note prices are subject to change without notice ! Also, please remember, taking our product photos is our property, this is a NO NO! We ship UPS Worldwide. Shipping via USPS Priority Flat rate Box Upon Request for special needs Please contact us Direct for this request 586-783-2238 Thanks! Our return policy is as follows: NO REFUNDS on Material cut to size ,So Please make sure you double check your order before placing it ! Measure twice so we only have to cut it once! All Sales Are Final ! we will ALWAYS fix it at our Cost. If it is a size issue or cut to length problem, or defect in the material. 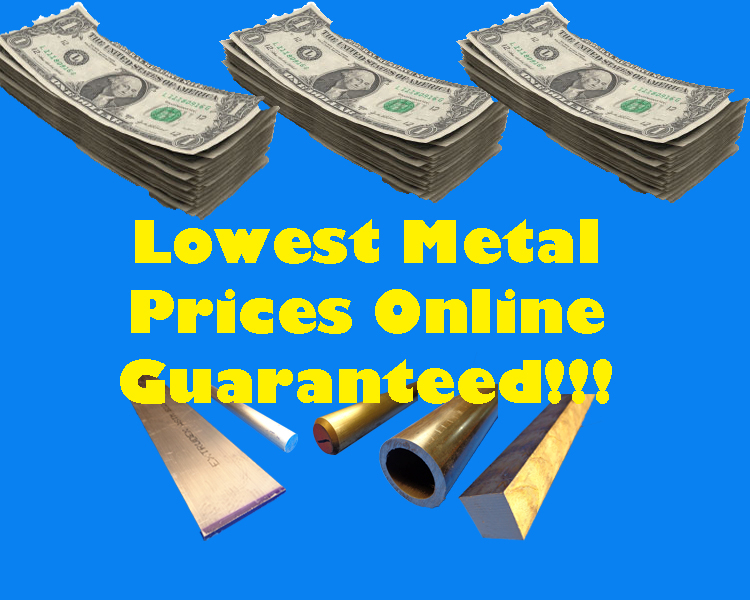 If you need to change your order after placeing it on our website www.industrialmetalsales.com there will be a $10.00 applicable fee to do so, so please make sure you measure once and get the order correct ! Cutting Tolerances are as follows: All Cut tolerances are + 1/8" / -0.00" on All of our Metals Cut to Size , we give you a little extra to clean up ! Industrial Metal Sales reserves the right to cancel any order at anytime for any reason we see valid and issue a complete refund immediately.